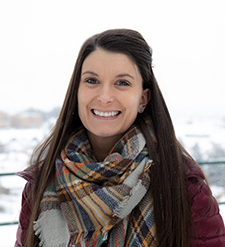 Montana Tech staff member Taryn Quayle has received the 2019 Outstanding New Professional Award from the American College Personnel Association’s (APCA) Commission for Academic Support in Higher Education (CASHE). Each year, the CASHE recognizes dedicated academic support professionals. The Outstanding New Professional Award is presented to a new professional who has shown outstanding work in the field of academic support and who has three or fewer years of professional experience in higher education academic support. “I am very honored and humbled to receive this award and I’m thrilled to be able to represent Montana at the national level,” noted Ms. Quayle. “Taryn is very deserving of the Outstanding New Professional 2019 CASHE award because of her holistic approach to student success, forward-thinking, and her strong commitment to creating positive institutional change,” noted Dr. Carrie Vath, Montana Tech Associate Vice Chancellor/Dean of Students. Quayle started at Montana Tech in 2015 working in the Institute for Educational Opportunities as an Academic Coach. She became the Director of the Academic Center for Excellence (ACE) in 2017. Quayle also serves as the co-director of Montana Tech’s honors program. She has implemented a number of successful changes within ACE. The “open-floor Wednesday” initiative where free cookies and coffee are available to students and tutors creating a free-flow environment where students can socialize and learn at the same time. This resulted in a 65% increase of attendance during the open-floor hours. In Fall 2018, she re-designed the entire layout of ACE by creating designated quiet spaces. As one of the instructors of the Montana Tech College Success Course, Taryn teaches 1-2 sections of the 25 person courses each semester. This course is required for any student on academic probation (GPA < 2.0). As an instructor she is able to encourage students to utilize the tutoring services to help them transition back to good academic standing. Beyond seeing them in the classroom, she can help advise them when they are in ACE. Taryn understands that students have a life outside of college and helps them learn how to create school-work-life balance. Taryn will receive the award in March 2019 at the national convention in Boston, MA.